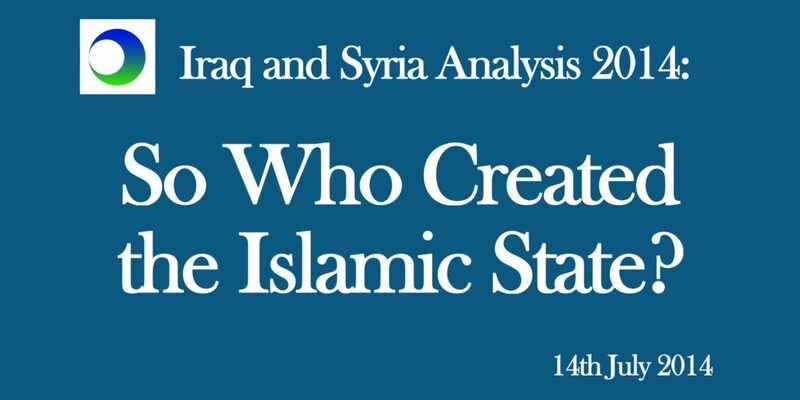 Syria & Iraq Video Analysis: Who Created the Islamic State? Iranian officials say the US and Israel created the Islamic State, the jihadist group holding territory in Syria and Iraq and threatening further advances. American commentators say Iran created the Islamic State. Some Western pundits say Saudi Arabia created the Islamic State. Articles have accused Turkey of creating the Islamic State. The Islamic State serves a function to fight other political battles. Even as it wins its own victories, even as it gains strength, it is propped up as a political tool — and not to bring any type of solution for Iraq and Syria, but to cause more problems through misguided, distorted, and exaggerated explanations.